Chilling spirit-based drinks like Martinis and Manhattans requires gently spinning ice in the glass to keep the cocktails crisp and clear, and to help prevent frothing or unwanted ice chips that could occur while shaking. 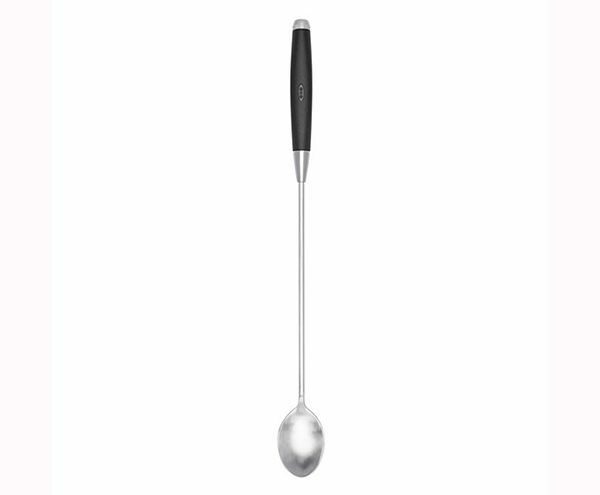 The Spinning Bar Spoon helps ensure proper stirring technique without the effort. 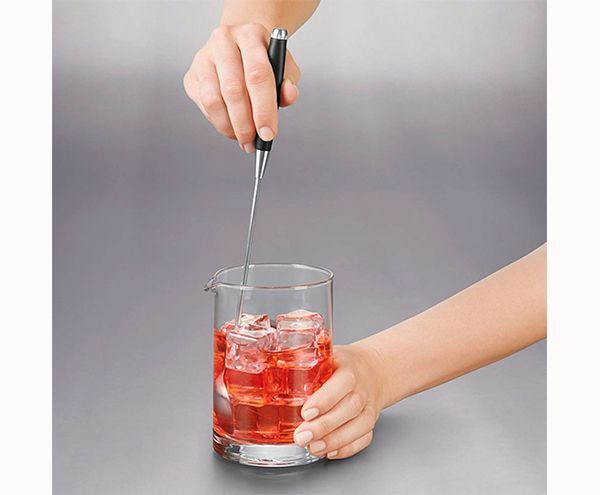 It has the length of a classic bar spoon, but doesn’t require changing your grip to keep the back of the spoon against the edge of the glass – the proper technique required to prevent the ice from chipping.